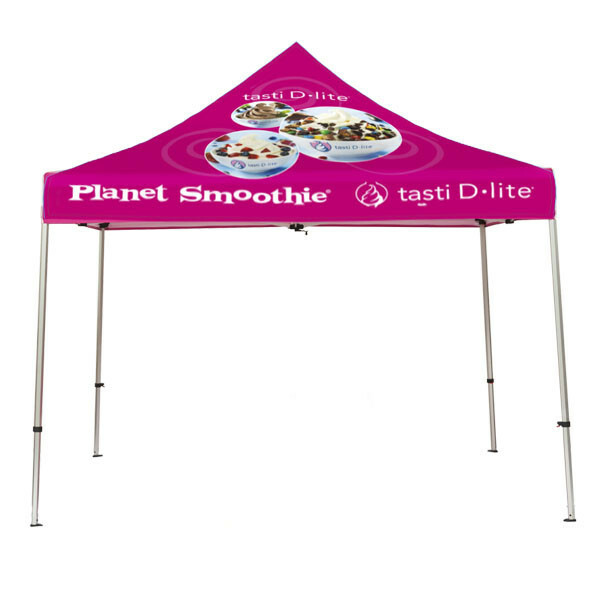 10’ x 10’ shaded advertising canopy tent, how better to announce your sponsorship at an event or mark your team’s location at a race or kids sporting event? Portable and custom designed quickly with our online editor. Production time is 5 business days.